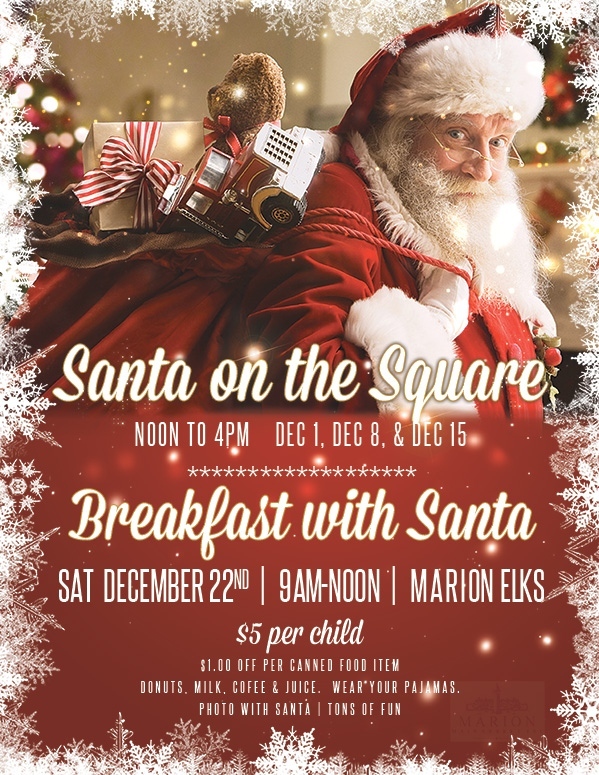 Description: Join us for breakfast with Santa at the Marion ELKS. Get a pictures with the big guy himself before he goes on his marathon gift delivery spree! Wear your pajamas and enjoy donuts, milk, coffee, and juice. $5 per child. Bring a canned food item and enjoy $1 discount per canned food item. Help others in our community!